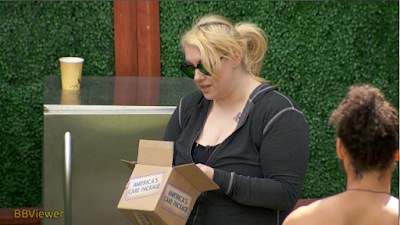 Big Brother Gossip: The First Care Package! It's almost the last "first" of the new season...until production creates something new. For the last 24 hours, viewers have been voting for America's Care Package. 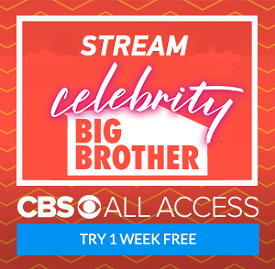 Since the "prize" is simply the ability to keep somebody off the block, members of the Big Brother Gossip Show suggested sending it to Kryssie. With Jason and (especially) Justin possibly being in jeopardy, she could use it to save one of them. Sure enough, Kryssie won!!! As with last season's Care Packages, she also received a few knick knacks. The rule card says she's not safe, but before tomorrow's safety ceremony she has to pick her choice to be immune from nominations. What's best about this accomplishment, besides potentially saving some of our greatest entertainment, is how the house will react to it. They'll completely misread it as "America" saying they love Kryssie. Various house dynamics will change, and some who think they're the "house leaders" may have reason to question themselves. It may create a bit of chaos and paranoia, which is what we ALWAYS desire!